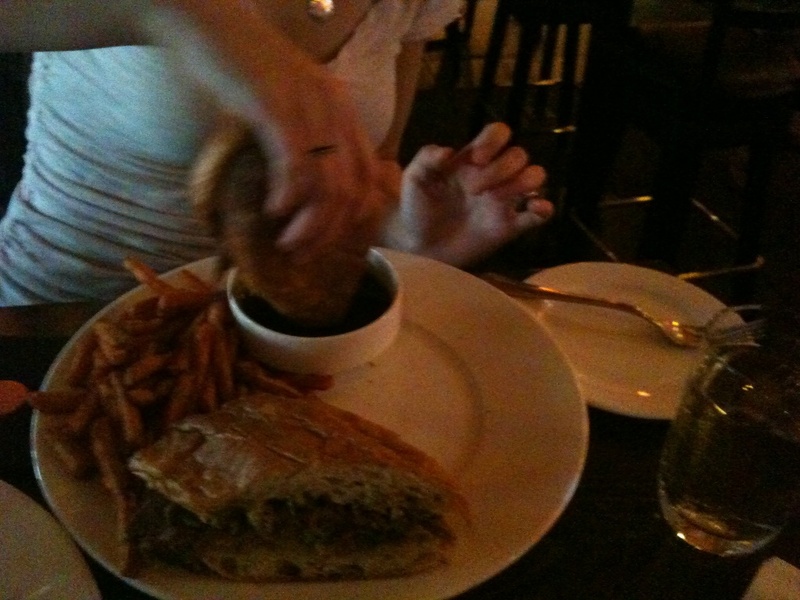 The last 24 hours has been hilarious with respect to my French dip blog. People seem to be liking it. My friend Charlotte, who's a food stylist, promoted the blog on her Facebook and I got a lot of traffic and interest from that. Thanks, Charlotte! Brian and Lindsay's SMS messages (and Lindsay's review)! Brian and Lindsay having a dip at Emory's in Everett. 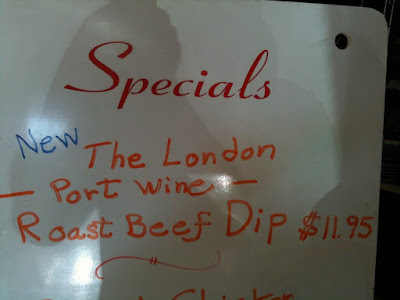 Lindsay: Meat was good. Didn't notice any big fat chunks. Probably cooked medium. One order was enough for two people $16.25. [Au] Jus was room temp but very tasty. Beefy, not too salty, nice balance. Woo hoo! My first review from someone other than me! 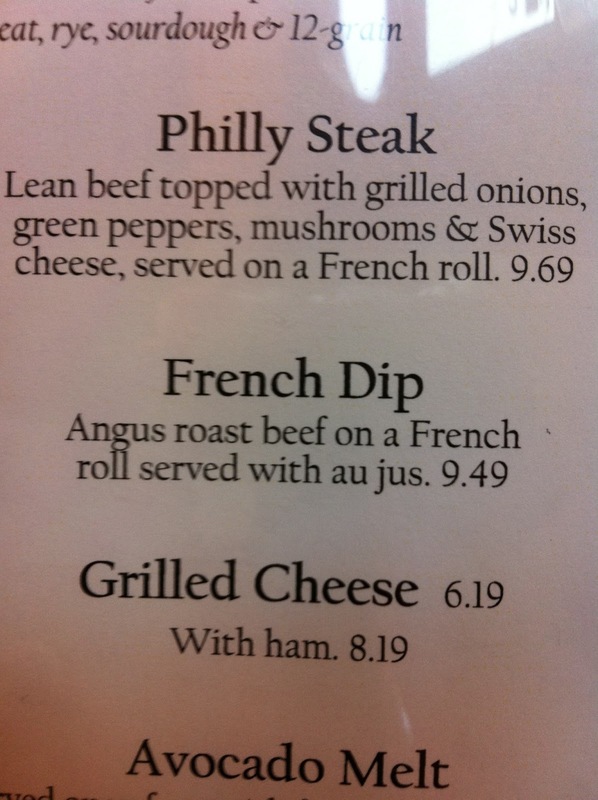 My buddy Colin sent me this pic from his phone for my reference. Thanks, Colin, I'll check it out! Me: Yes. I want pics and a full writeup! Make it happen. 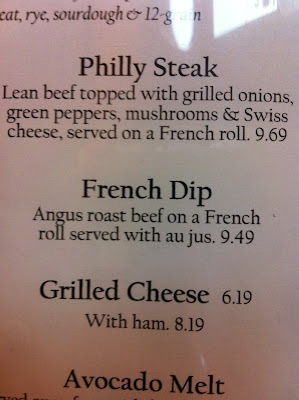 I consumed a french dip sandwedge [Brad is joking, he knows how to spell sandwich] last evening at the Alger Tavern. I would like to write a review on it. So I'll have to get Brad up and running! Anyways, it's been funny the interest and attention I'm getting. Hope you enjoy!